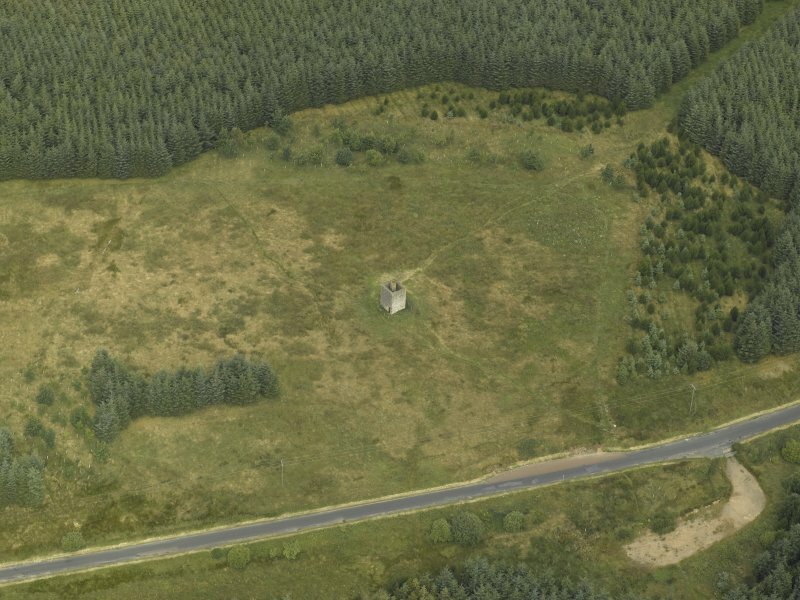 Oblique aerial view centred on the ruin of the observatory, taken from the SSW. 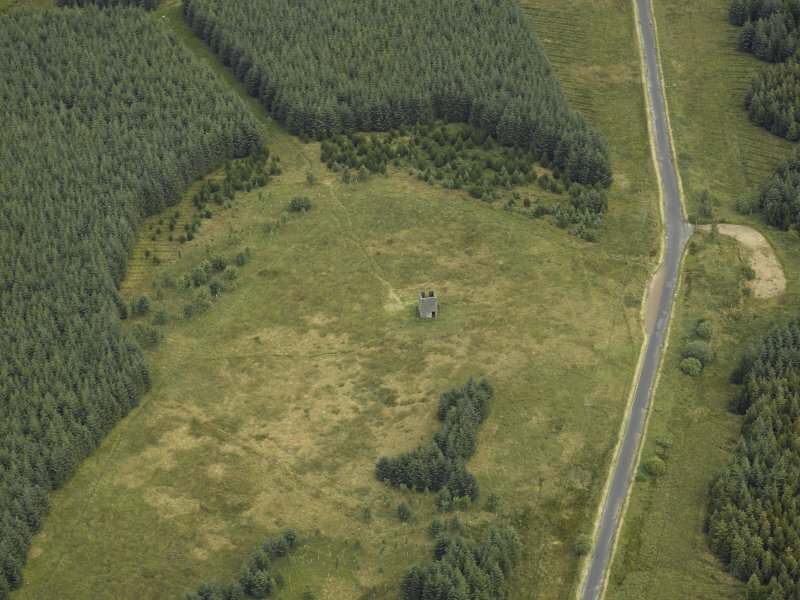 General view of Observatory, from SW.
Oblique aerial view centred on the ruin of the observatory, taken from the SE. 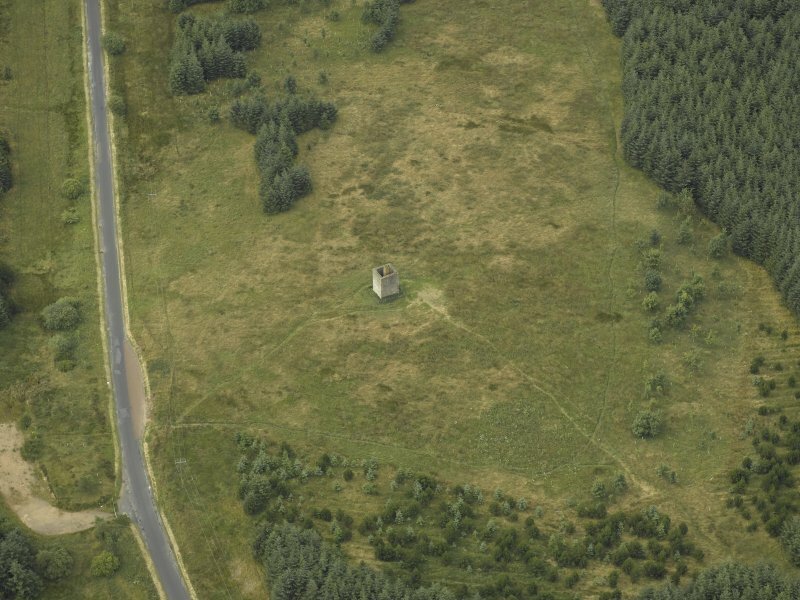 Oblique aerial view centred on the ruin of the observatory, taken from the NNE. 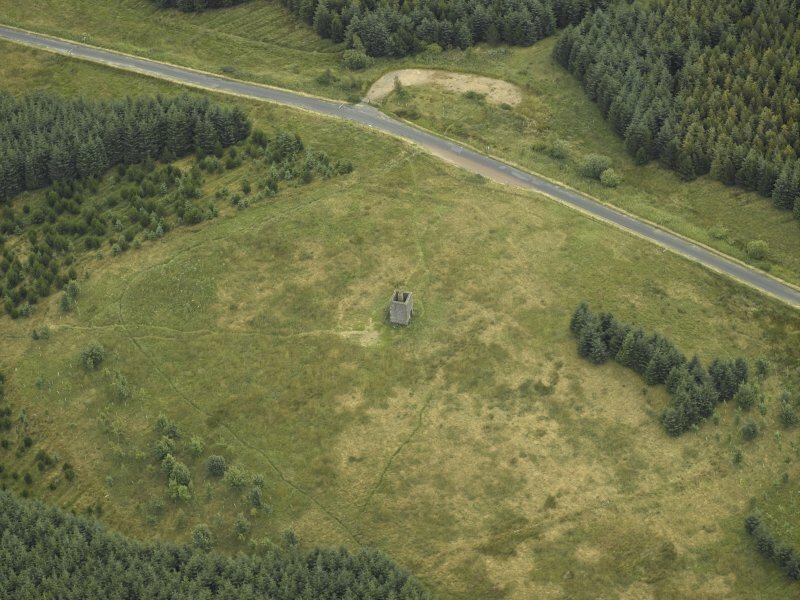 Oblique aerial view centred on the ruin of the observatory, taken from the WSW. 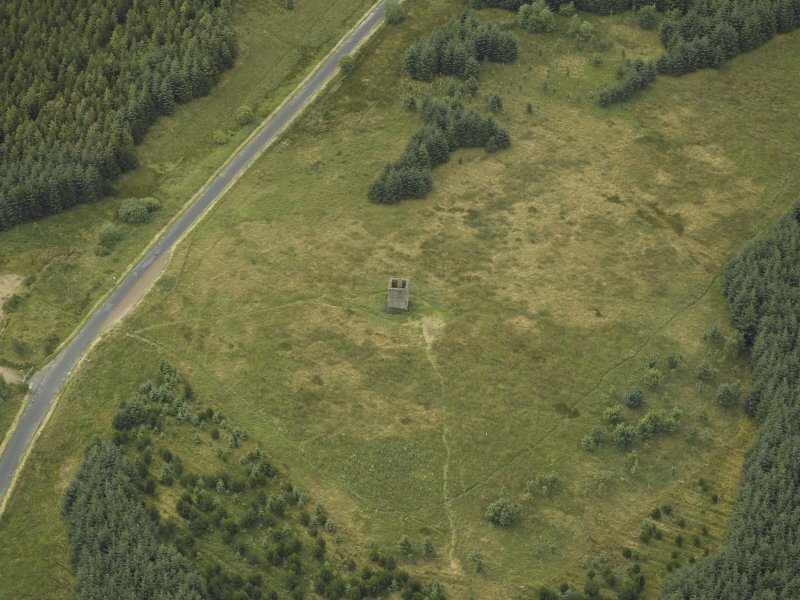 Oblique aerial view centred on the ruin of the observatory, taken from the W.
General view of Observatory, from SSW. 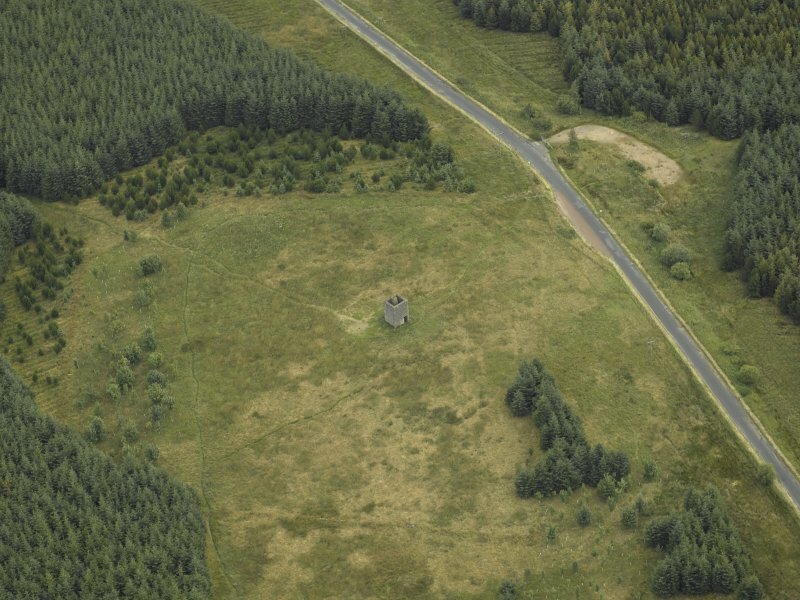 Oblique aerial view centred on the ruin of the observatory, taken from the N.
General view of Observatory, from SE. 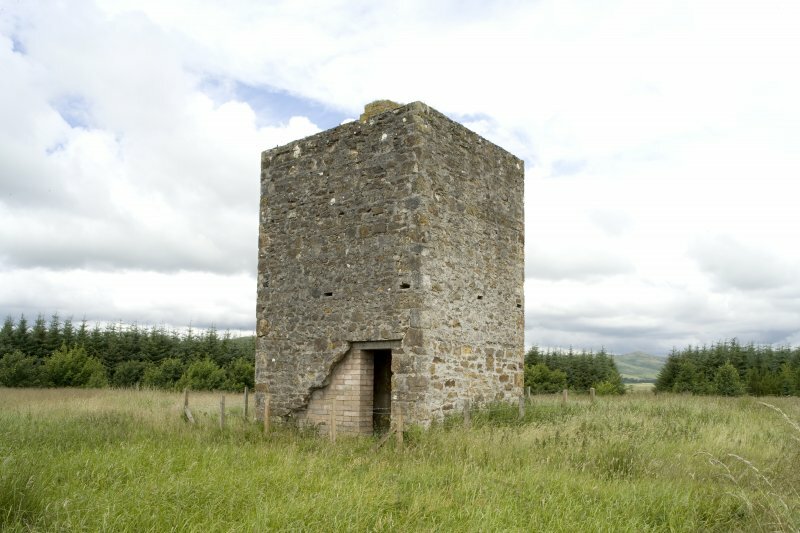 For long cairn (adjacent to SW), see NT15SE 59. 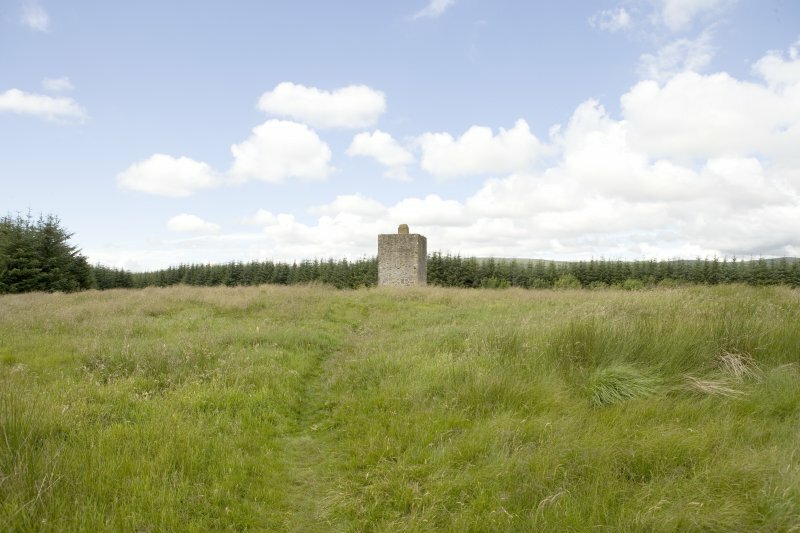 (Talla Observatory, West Linton: location cited as NT 18036 54687). Information from Prof R Paxton, September 2005. 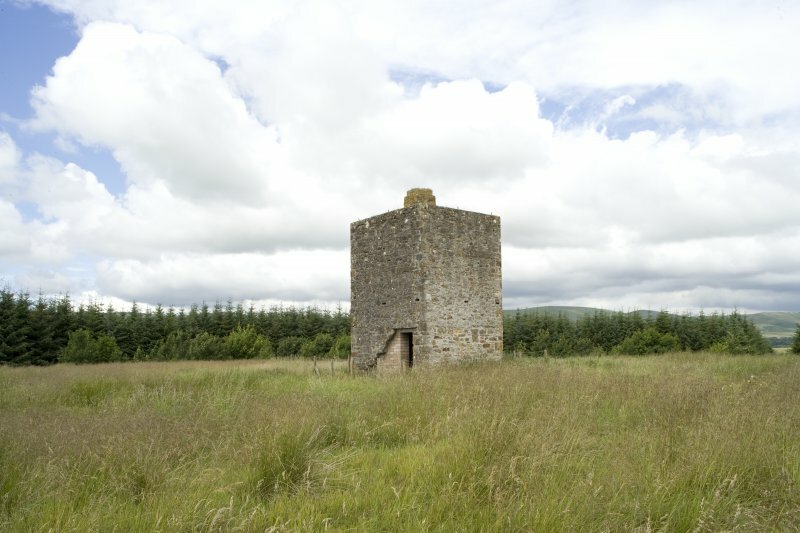 This building is published as Tower [NAT] on a recent large-scale OS map: no sheet reference or date of survey is available. 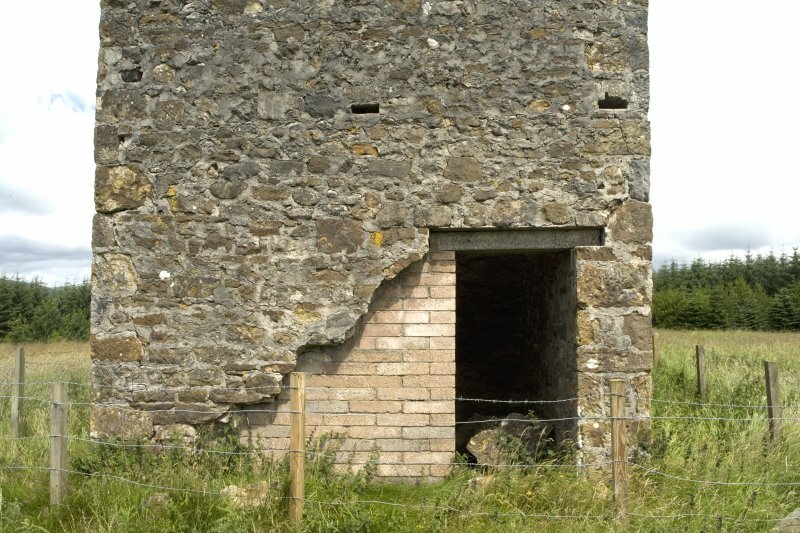 Information from RCAHMS (RJCM), 29 November 2005.
concrete pillars, a number of which still survive, including one on a steep hillside near Tweedsmuir (NT 106 260) and this one, about a mile south of six others, within a masonry tower near West Linton. The drawing shows its long gone timber superstructure. The brass transit instrument with 30-inch telescope used in setting out the aqueduct is now in the ICE Museum at Heriot-Watt University. Best of Edinburgh and Robert McAlpine & Sons, Glasgow.